It doesn’t matter how much you know about cats, they’ll still manage to baffle you from time to time; and not only with their behaviour. Of course, if you’re thinking of getting your first cat, you have a whole world of discoveries ahead of you. So, we decided to add this little information section (which we will develop over time) with information which might be useful. We have brought together a small collection of downloadable and printable pdf information leaflets produced and published by experts in animal care. Some deal with general cat ownership issues, others with the prevention of illnesses and parasites, while others explain why you should have your cat fully vaccinated and what diseases vaccinations can protect against. Mrs Miggins or Cat Care Experts? To avoid confusion, absolutely none of the information comes from Mrs Miggins who lives just down the road and is evidently quite an expert on cat care, on account of her sister owning one during the 1960’s. Rather than drain that particular pool of wisdom, we decided to rely on information produced by bodies such as the RSPCA and other cat-related specialists. However, if you’d still like to hear Mrs Miggin’s opinion on the matter of cat health, we will happily pass on any enquiries to Mrs Miggins’s milkman next time we see him. All the brochures are provided in downloadable and printable PDF format. General advice on owning and looking after cats and kittens from the USPCA, for existing or prospective cat owners. Entitled ‘How to take care of your cat’ this RSPCA booklet covers many aspects of cat care and ownership, including diet, behaviour and health. Essential cattitude - About Cats! Produced by FAB, this 70-page pdf examines a wide range of cat behavioural issues in order to allow a better understanding of our cats. Cats and the law - did you know? Of interest to all cat owners, this is a brief outline of the laws in the UK which affect cats and cat owners, produced by Cats Protection. 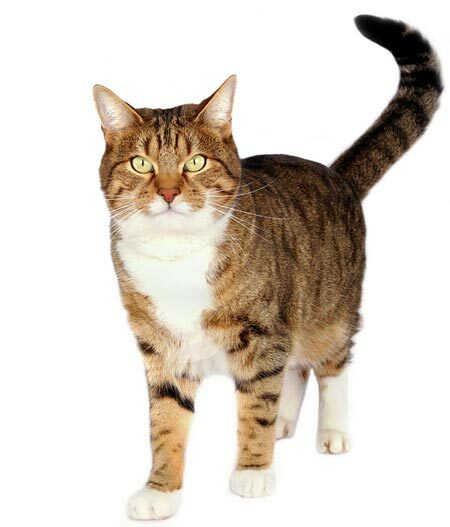 Many believe that neutering your cat is part of responsible ownership. Whether you agree or not, this booklet explains how and why. Like it or not, cat owners will have to deal with fleas at one time or another. This article from The Cat magazine offers useful advice. This brochure also covers cat fleas, but also looks at other internal and external parasites which your cat might come across. Ringworm has nothing to do with worms and this brochure explains what ringworm is, plus why and how you can deal with infected cats. Brief description from the RSPCA of the various illnesses your cat needs to be vaccinated against. Brief outline from FAB of the various illnesses your cat needs to be vaccinated against. Produced by Cat Protection, this leaflet examines the respiratory disease we usually call ‘cat flu’, and feline Asthma. Information on Feline parvovirus (FPV); a potentially fatal virus also known as feline infectious enteritis (FIE) and feline panleucopenia. Cat Protection’s information leaflet about Feline Leukaemia Virus (FeLV), a virus that causes a fatal disease in cats. We’re keen to hear from people with knowledge and experience of cat care and cat welfare who are interested in contributing articles in the Cat Chat section of the directory. If you’ve got little free time and you’d like to become a contributor, please click the button below to get in touch, telling us a little about yourself and how you could contribute.